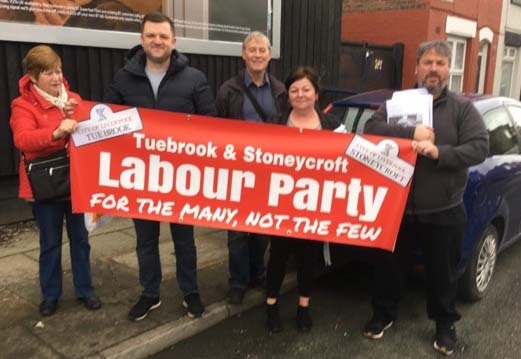 Labour Party banner | Campaign! With eyelets. 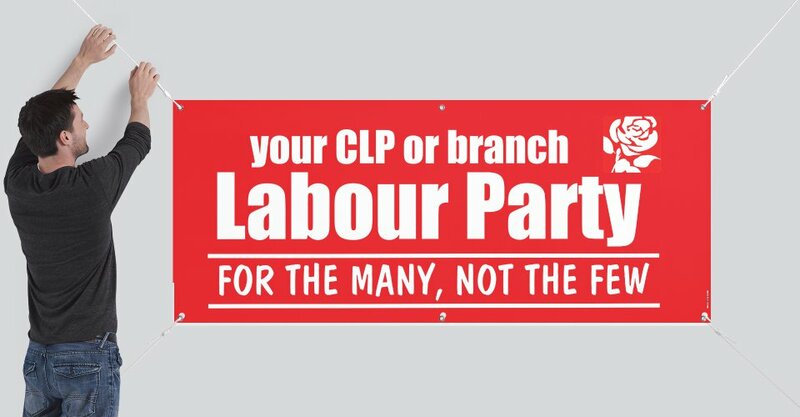 We will add the name of your CLP or branch for no extra fee (ditto small changes to the design). Just email us the name of your branch or CLP and we will send you a proof before we go to print. We sell two types of banners – the ‘normal’ banner is made of high quality PVC which is suitable for indoor or (temporary) outdoor use. The ‘outdoor’ banner is also made of thicker, high quality PVC, has hemmed edges and eyelets and can be used for long-term outside displays. P&P is included in the price. Turnaround time is roughly 7 days. Please choose ‘express delivery’ at the checkout for faster delivery.